What name will BMW's city car bear? There has been lots of speculation over the last few days as to what brand BMW will use for its mooted new city car brand. Auto Express thinks Isetta will be resurrected, but we doubt that BMW will be keen. 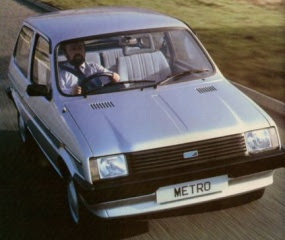 After all, in its home market the company’s old bubble car line is rather less fondly remembered than in the nostalgia-obsessed UK. A German nickname for the vulnerable Isetta was Sargwagen - “coffin car” - and it seems unlikely that BMW will want to tackle that uphill PR struggle in today’s safety-centred world. The firm does indeed own rights to the Isetta name, but we think it’s a bit more likely that BMW will either come up with a new brand or reuse an old one with some residual cachet. A rummage through its current registered trademarks turns up some interesting possibilities. It still owns old British marques Riley and Triumph, plus model names like Stag, Sprite, Maxi, Dolomite and Spitfire (which would be a brave choice for a German car). It also has automotive rights to some unfamiliar brands: Alphabet, Ingenta and - perhaps conveniently - Evergreen.